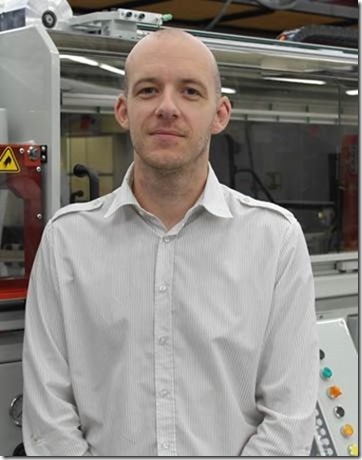 CHESTER, NOVA SCOTIA, July 26, 2013 –GN Thermoforming Equipment, a leading manufacturer of servo-driven, roll-fed thermoforming machines for production of food packaging, has announced the appointment of Matthew Knight as technical services manager. Knight, a 14-year plastics industry veteran, has relocated from the United Kingdom to GN’s manufacturing headquarters in Chester, Nova Scotia. Knight will oversee GN Thermoforming’s technical services team in Canada and the Czech Republic. “We’re thrilled to have Matt lead our technical services operation,” said Jerome Romkey, GN marketing manager. “His many years of experience bring a customer-driven perspective and an ability to work collaboratively at all levels, from the plant floor to the management level.” He added that Knight’s detailed, analytical, and hands-on processing skills will be put to good use in enhancing GN’s customer service effort. Knight has worked in various managerial roles and has led extensive operator training programs at various locations. He has held other wide-ranging responsibilities throughout his career including process operator, production shift supervisor, and other process management roles. GN Thermoforming Equipment, based in Chester, Nova Scotia, Canada, is a leading manufacturer of roll-fed, in-mold cut thermoforming machines for the production of quality plastic packaging. The company’s advanced machinery combines the two critical steps of forming and cutting into one operation, a system which yields low material scrap rates. Very modest power consumption is among a long list of benefits for GN thermoformers which have earned the designation of Environmentally-Friendly Equipment with Low Carbon Footprint. More information on GN Thermoforming Equipment is available at www.gncanada.com.